“TARBOZ (translated log of inhabitants)” is the long-awaited, animated short film from creative polymath Chad VanGaalen, which premiered today with Pitchfork TV [see October 5th news story). “TARBOZ was planned as the first episode of “Translated Log of Inhabitants,” and was an experiment to see if I could make a long-form improvised animation and still get out alive. I barely did! The “Translated Log of Inhabitants” was conceived as a guide to the origin story of many different species. I imagined myself doing dozens of these episodes, focusing on a new life form very time — very much like a page from “Barlowe’s Guide to Extraterrestrials.” It expands a universe that I had already been developing in my own music videos, as well as ones for other bands. The videos for “Peace on the Rise” as well as ones for Black Mountain and Shabazz Palaces all exist in the same world (at least in my head). TARBOZ is stream of consciousness, dreams, and friends. Alternate versions of my own reality. Coming to terms with the fact that I will never play freestyle disc professionally, but wanting to pay homage to the peaceful energy of that sport. It also reflects my needing to score a sci-fi film so badly that I ended up making my own. I TARBOZed myself for two years, through software transitions and computer wastelands, and slowly the physical realm slipped away. I learned a lot about why you should get into something with a clear idea in mind. I would never make another animation in quite the same the way I made this again. After two years of working on it in solitude, I just wanted my life back. Doing it alone was my biggest mistake. I was very lonely. 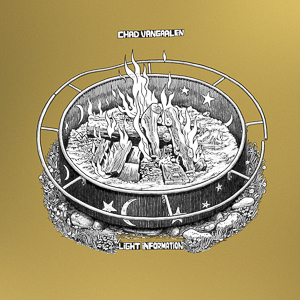 Chad VanGaalen recently released Light Information, which is available on CD / LP / DL / CS worldwide on Sub Pop and in Canada through Flemish Eye. The album features the highlights “Mind Hijacker’s Curse” [listen here], “Old Heads” [listen here] and “Pine & Clover” [watch here]. Light Information was written, played, and produced by VanGaalen (save Ryan Bourne’s bass part on “Mystery Elementals” and vocals on “Static Shape” from his young daughters Ezzy and Pip). The album emerged from the experimental instruments that fill his Calgary garage studio. Among them is a beloved Korg 770 monosynth, which VanGaalen coveted for years before fixing one up and devoting a lot of recent energy to recording “duets” with it. One of these, “Prep Piano and 770,” is the lone instrumental on Light Information, more atmosphere and chord bursts than the rest of the album’s hooky rock narrative. Light Information can be purchased from Sub Pop and Flemish Eye. LP purchases of the album from megamart.subpop.com, select independent retailers and at Chad’s shows, will receive the limited Loser Edition on crystal clear vinyl (while supplies last). There is also be a new T-shirt design available. 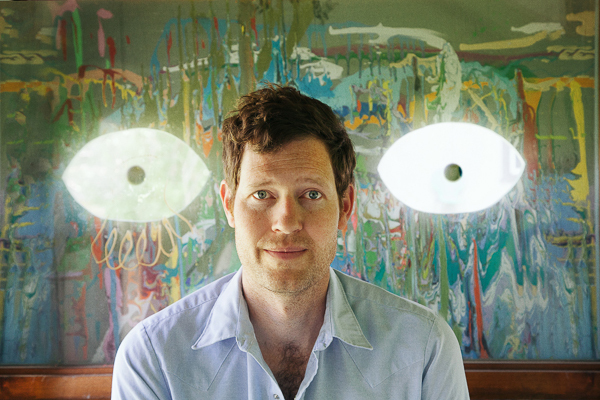 Chad VanGaalen’s previously announced international tour schedule in support of Light Information has been extended. The dates now span October 15th in Utrecht, Netherlands at EKKO through January 27th in Edmonton, Alberta at The Needle Vinyl Tavern. UK tour begins November 13th in Brighton. 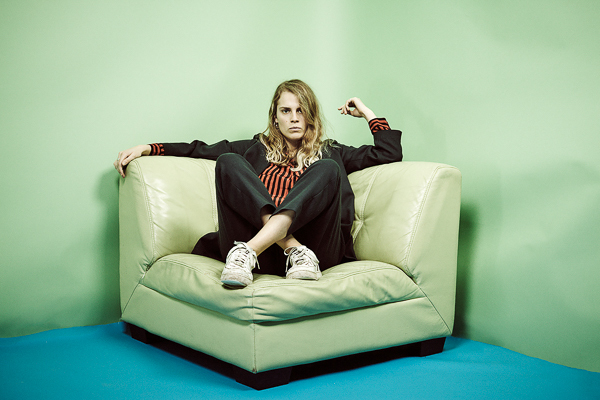 Marika Hackman’s coming-of-age, sophomore album I’m Not Your Man is as sharp witted as it is riotous; and it’s out now in North America on Sub Pop and Europe from AMF Records. Hackman unveils the accompanying video for last single “Time’s Been Reckless,” which she worked on with Jackson Ducasse. The video for “Time’s Been Reckless” follows in the footsteps of Hackman’s last single “My Lover Cindy” which has been nominated for ‘Vevo Must See Award’ at this years UK VMAs. 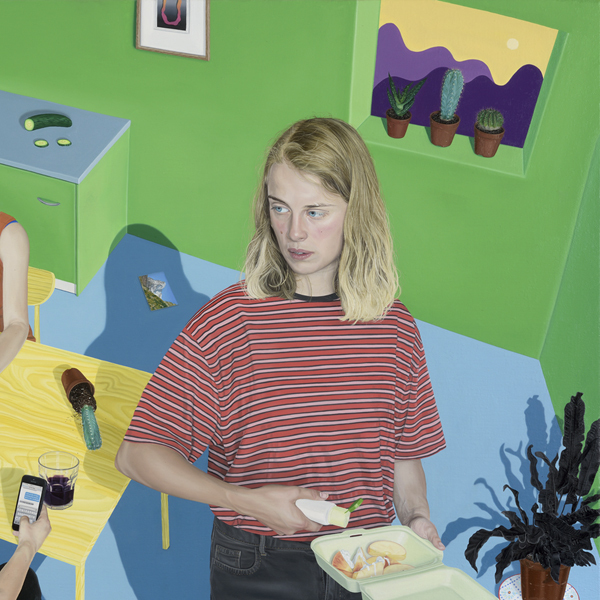 “Time’s Been Reckless” video heavily references I’m Not Your Man’s artwork by artist Tristan Pigott, switching between 35mm film and glitchy, lo-fi FX around Marika and her live band. I’m Not Your Man which features the singles “Boyfriend” and “My Lover Cindy” is not afraid to call out the big questions around femininity, sexual identity, millennial ennui, the pressures of living in a social media bubble and the perils of being young in a fast-paced world. After a non-stop Summer of playing festivals as well a co-headline US tour with The Big Moon, Hackman has announced a November UK headline tour taking in her biggest venues to date. South London four-piece Goat Girl have been confirmed as main support for the Shepherd’s Bush Empire date and Our Girl will be joining as support for all dates except Leeds. I’m Not Your Man is out now on CD / LP / DL / CS in North & South America from Sub Pop and the rest of the world via from AMF Records. The album, which includes the highlights “Boyfriend,” [see here], “My Lover Cindy” [see also here], “Violet” and “Cigarette,” and was produced and mixed by Charlie Andrew (Alt-J) at various locales throughout London. 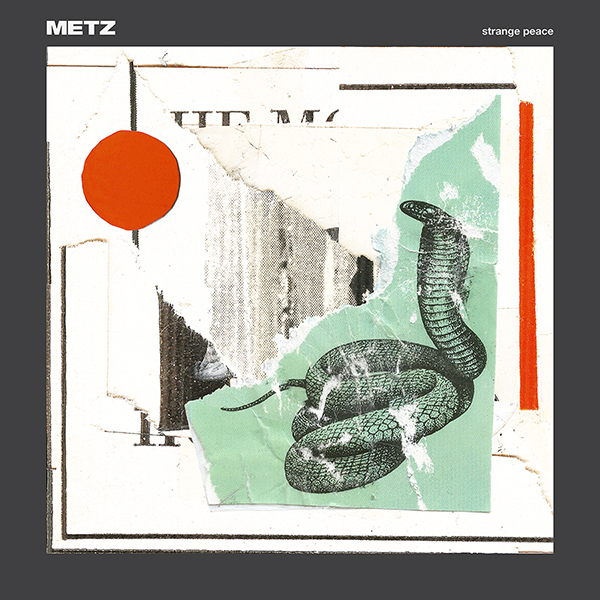 Strange Peace, the excellent new METZ album, is available now from Sub Pop Records (Worldwide, ex-Canada) and Royal Mountain Records (in Canada). In METZ’s new video for “Drained Lake,” director Shayne Ehman (who also directed the band’s video for “Cellophane”) highlights no less than the transient nature of time and space, through cutlery and kitchen wares. “Drained Lake” is one of the standouts from new METZ album Strange Peace, and the song is a propulsive, jagged thing; heavy 21st-century post-post-punk, with an infectious sea-sick synth line added for good measure. Strange Peace is available now from Sub Pop (worldwide) right here. Canadian fans can purchase the new record from Royal Mountain Records here. METZ will begin the European leg of their 2017 international tour in support of Strange Peace on November 2nd in Prague at the Futurum. The dates will run through November 25th in Brighton, UK at the Haunt. These European shows will bring METZ to Poland, Germany, the Netherlands, Belgium, France, Spain, and the UK. Nov. 02 - Prague, CZ - Futurum ! Nov. 03 - Wroclaw, PL - Klub Firlej ! Nov. 04 - Warsaw, PL - Klub Hydrozagadka ! Nov. 06 - Berlin, DE - Bi Nuu ! Nov. 07 - Copenhagen, DE - Loppen ! Nov. 08 - Hamburg, DE - Knust ! Wolf Parade’s Cry Cry Cry, the band’s excellent fourth album, is available here now from Sub Pop, and in Canada from Universal Records via Wolf Parade’s webstore right here. Plus the album is streaming in all manner of digital services, including (but not limited to) Spotify / Apple Music / YouTube. In celebration of the album’s release, Wolf Parade have scheduled a Reddit “Indieheads” AMA for Friday, October 6th at 1pm PT, and the band will also appear on The Late Show with Stephen Colbert on October 11th. Wolf Parade’s headlining international tour schedule resumes October 13th in Toronto at Phoenix Concert Theatre and now ends January 24th in Phoenix at The Van Buren. Barsuk Records act Charly Bliss, who are supporting the October 13th-27th shows (select dates), will also act as direct support, January 12th-28th (select dates). 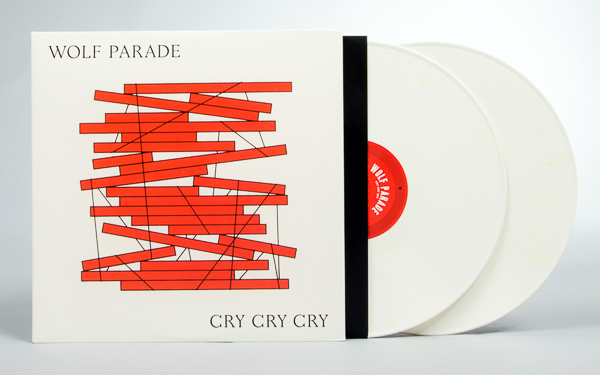 Cry Cry Cry is now available for purchase worldwide from Sub Pop, in Canada from Universal Records and Wolf Parade’s webstore [link here]. LP purchases through megamart.subpop.com, and select independent retailers in the U.S will receive the limited loser edition on creme colored vinyl (while supplies last). Wolf Parade will also have a special tour edition on transparent red vinyl available at shows (also while supplies last). A new t-shirt design will also be available. “Wolf Parade have always stood apart from their peers: always weirder, more complex and artier than the others with their dissonant punchy pop and gnarled edges…” - London in Stereo. Sub Pop is releasing music from The Mayor, the new hit TV show starring Brandon Micheal Hall, Lea Michele, and Yvette Nicole Brown, created Jeremy Bronson and executive produced by Daveed Diggs (of Sub Pop’s own, Clipping.). The Mayor airs Tuesdays at 9:30pm | 8:30pm CT on ABC. Songs will be available every Friday, preceding each Tuesday night episode, throughout the season. 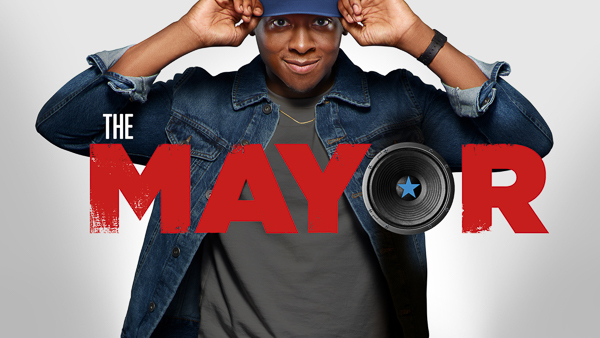 Songs from The Mayor soundtrack are performed by Brandon Micheal Hall (aka Courtney Rose) and members of the cast, and written by Diggs, William Hutson, and Jonathan Snipes (of the group Clipping). Young rapper Courtney Rose needs his big break. For years, he’s toiled away in a small inner-city apartment, making music in his junk-filled bedroom closet. Tired of waiting for opportunity to knock, Courtney cooks up the publicity stunt of the century – running for mayor of his California hometown, Fort Grey, to generate buzz for his music career. But his master plan goes wildly awry, ending in the most terrifying of outcomes: an election victory. The series stars Brandon Micheal Hall as Courtney Rose, Lea Michele as Valentina Barella, Bernard David Jones as Jermaine Leforge, Marcel Spears as T.K. Clifton and Yvette Nicole Brown as Dina Rose. Executive producers of the series are Daveed Diggs, Jeremy Bronson, Jamie Tarses and James Griffiths. “The Mayor” is produced by ABC Studios.